If someone you know is detained . . . Sanctuary Campus Letter 11/28/2016: Western will remain actively engaged in national conversations, including support of national educational associations, regarding DACA and related programs designed to protect students and their pursuit of educational opportunities. WOU Campus Safety officers do not regulate or enforce immigration laws. 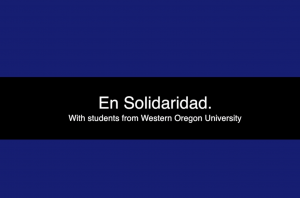 WOU will not participate in immigration enforcement activities unless required to do so by law. 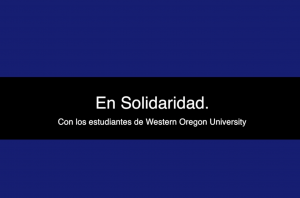 WOU is committed to a safe, inclusive community and respects the rights of each community member to civil discourse. WOU will not tolerate threats or acts of discrimination and will strive to sustain a safe, inclusive and welcoming environment for all members of the university community. Any and all requests for information regarding the immigration status of students or employees will not be provided unless required by law and reviewed by the vice president and general counsel.